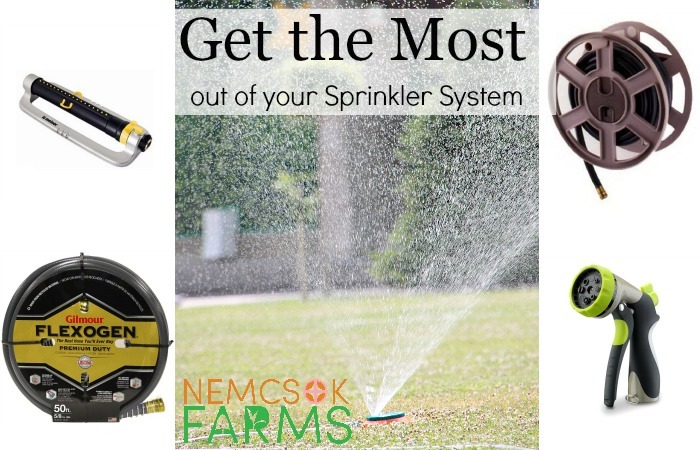 While it may be glaringly obvious what you may do with sprinklers, it has occurred to me that people have varying opinions on what that glaringly obvious use may be. Again, this is going to vary depending on perspective and general outlook. If you are a farmer, you might think Irrigation is the most obvious way you would use a sprinkler. If you are parent, or a child for that matter, you would probably consider the Entertainment Value you get out of a sprinkler as being key. A hose and sprinkler system can be your best friend when it comes to Defending against Frost and Pests and also if you are ever thirsty outside, Drinking From the Garden Hose is a life skill and should be taught to all children at a very young age. I suppose at the top of the list would be using your sprinklers for irrigation. Watering your garden to grow your food, so that you can eat. A garden hose with an oscillating sprinkler can do a fine job of making sure your garden gets good coverage. Let it run for 15 minutes in one area at a time, at least once a day. We have a sturdy hose reel with a series of long hoses running from the house to the garden that allows for really great coverage, and easy clean up for lawn cutting. 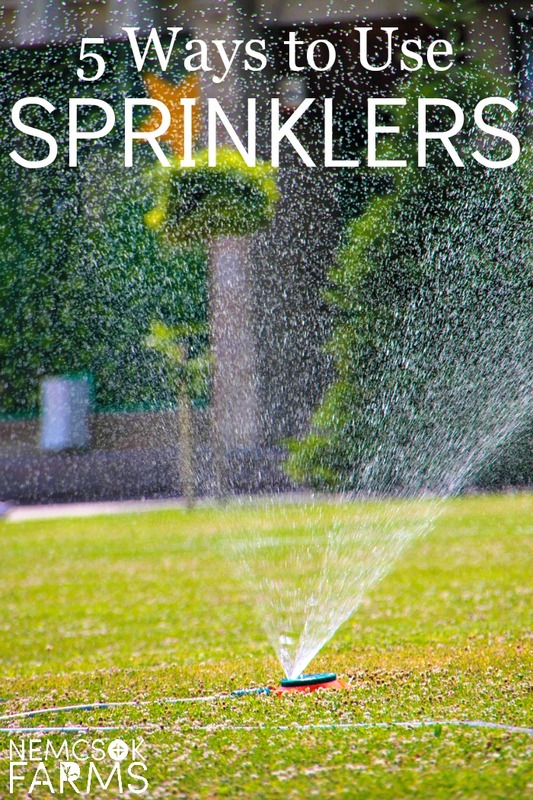 Did you run through he sprinkler as a child? How about those wet bananas? Or a slip and slide? Fun. Fun. Fun. If you don’t have a sprinkler to enjoy, get one. Seriously. You don’t need a fancy sprinkler for it to be fun for the kids – we have hours and yes, I do mean hours, of fun with our oscillating sprinkler . We do have the benefit of fresh well water also, but in areas where water use is limited and sprinkler play is a luxury, if you do have only a certain amount of time where you can water your lawn and gardens, use an oscillating sprinkler and let the kids play in it while it does double duty. Go ahead. Drink from the Garden Hose I do it all the time, and have even mastered the art of drinking from the oscillating sprinkler. I don’t always remember to bring beverages outside and after working in the garden for periods of time, you can quickly become dehydrated. Don’t fill up the landfill sites with plastic water bottles, drink right from the family garden hose. It’s fun, does the trick and teaches your kids to embrace the simple life, and enjoy life’s simple pleasures. Just like we talked about above – having an oscillating sprinkler system in your garden through the growing season is a real life saver. Did you know also that having one set up through the ripening and harvesting season can also be a true life, time, and food saver? When there is eminent danger of frost in the fall, and you still have a garden full of thriving plants that could do with just a wee bit longer in the garden, turn on the sprinkler. Use a timer for your hose, and have it come on when the forecast says the temperature is supposed to drop to zero and colder. 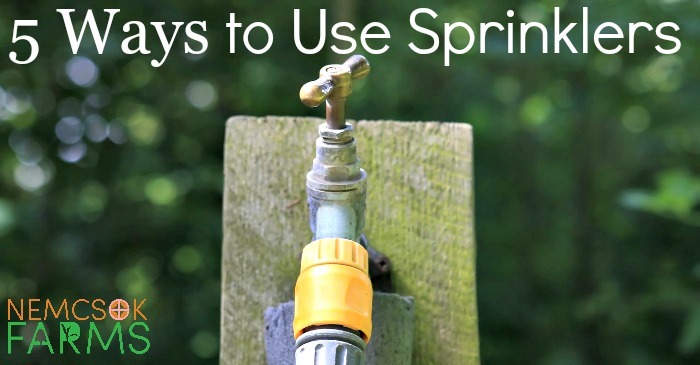 A fine mist of water from the sprinkler will keep the frost from setting on the plants. Often we get a few days of light frost and then perfect growing weather again for a week or two after. If you can survive those frosty days, you can extend your growing season by almost a month. It’s not what you think. Well, maybe it is. I have seen my youngest pick up the hose, armed with a Hose Nozzle and spray her older siblings to maintain her ground. She is her Mother’s child. But that is not really what I was alluding to in the realm of defense. I’m talking about those critters who love to hang out at your place, make themselves comfy, and make you leary of your own space. Most animals that feel comfy in your space aren’t there to harm you. They may want to eat your vegetables, like my friends the Groundhogs, and sometimes they can smell really fowl ( yes, you Mr. Skunk). After a series of failed attempts from deterring a skunk from our yard and garden – I’m talking fireworks, slamming noises etc… I decided that I was going to spray the skunk. And I did. I got out my trusty Garden Hose, attached my high powered Hose Nozzle and sprayed that skunk. He did not spray me back, but ran quite happily into the forest, and stayed away from our garden for the rest of the year. My Little Helpers are quite proud to tell people, all. People. That Mommy, yes, MOMMY, sprayed the skunk.